Men’s life coaching & women’s life coaching in Irvine and Los Angeles CA for marriage and pre-marital counseling and self improvement with coaching for depression, anxiety, anger management, love concerns and other relationship or single issues. Deciding to start Life Coaching is a step that will require emotional energy and resources and offers rewards such as self-awareness, emotional growth, improved relationships, decreases in troubling symptoms such as depression, anxiety, and anger. Life Coaching can provide you with the tools to experience an enhanced ability to cope with life's difficulties while achieving goals. I work extensively with clients dealing with depression, anxiety, love concerns, ADHD, grief, stress or anger management, career planning issues, as well as any other life concerns. I also work with individuals in the entertainment industry in navigating the very unique circumstances that come with that career path and lifestyle. 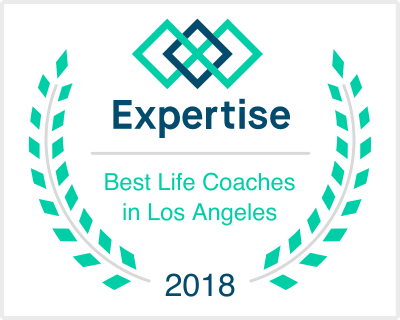 As a practical and interactive Life Coach, my treatment approach is to provide support and useful feedback to help clients resolve current obstacles as well as long-standing patterns. With sensitivity, compassion, and encouragement, I help clients find solutions to a wide range of life's challenges and emotional concerns so as to help them establish a more desired sense of balance in their life. Life Coaching can be short or long term depending on your needs. I believe that through Life Coaching, you can work towards closing the gap between what is and what could be.